[/vc_column_text][/vc_column][/vc_row][vc_row][vc_column width=”1/2″][vc_single_image image=”5751″ img_size=”large” onclick=”link_image”][/vc_column][vc_column width=”1/2″][vc_column_text]Drummer René Aquarius ( Dead Neanderthals) and guitarist Pieter Holkenborg ( Automatic Sam) were looking for a rehearsal space to write songs and record music. 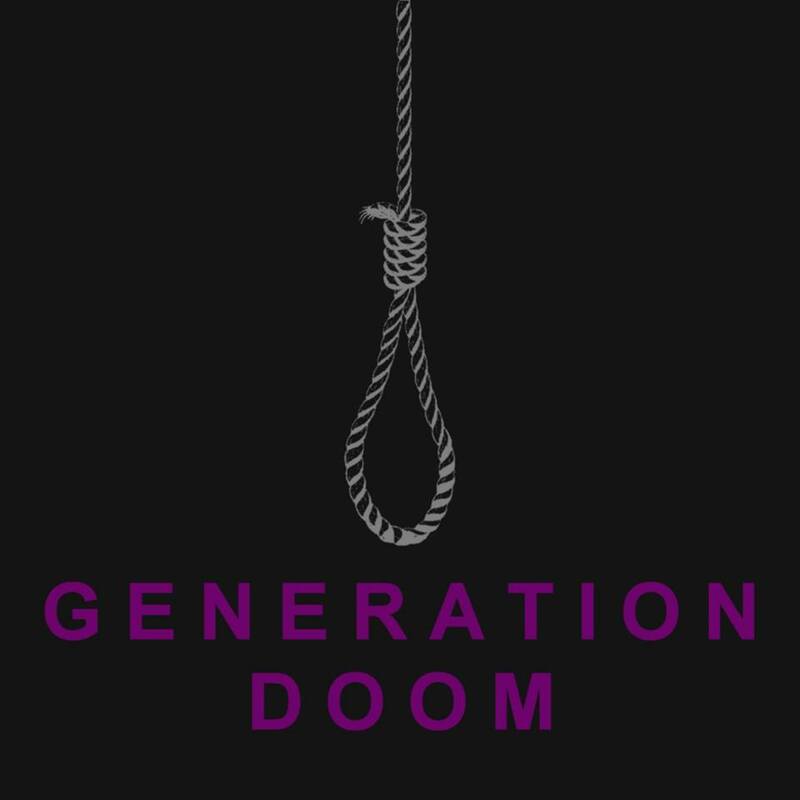 This became the Generation Doom EP. The mics were set up for a raw and loud sound. Rene and Pieter recorded their parts live and together, which gives some bleed. But that’s just fine and contributing to the sound. We made sure drums and guitar were positioned across of eachother. The BPM CR76 mic was positioned in the middle of the two and moved until a balanced sound was found. The old fashioned way. The other mics for drums were used to add directness, but the BPM CR76 was the basis of the sound. Used mics: Rode nt5’s overheads, Sennheiser MD441 as center overhead, Shure sm57 on snare, Sennheiser e602 and Yamaha subkick for the bassdrum. Toms were not used and miced. 2 gobos were placed in front of the drums to shield of the cymbals a bit for the BPM CR76 room mic. The drums used were the studio’s Pearl Masterworks and Mapex snare and Pieter brought his Masterworks cymbals. As you may have noticed, vocals and bass weren’t recorded during the session. Those we’re done later by themselves and send to me to include in the recordings. For the mix I thought of an old skool Bad Brains sound and Rene opted for a Siege – Drop Dead sound. With those two in mind I started mixing. Both guitar mics we’re eq’ed to remove some loud low end frequencies. The bassguitar got eq-ed to make it stand out and fit in between the drums and guitar frequency wise. The bass also got compressed to give it an equal drive as guitar and drums. The vocals had a bit of eq with hi and lowpass enabled to give it a more lo-fi feel and has heavy compression going on. The drums are mixed as a whole, with the exception of the snare which received extra multiband distortion and saturation. The overall drums got heavily saturated and compressed. Before the entire mix was transferred to tape the panning was changed. Drums was changed to almost mono and panned slightly to the left while the guitar was panned a lot to the right. Bass and vocals stayed in the middle. The reason for this was to add some more old skool feel with an off panning.